Since it's closing in April 1996 Mare Island is going through a transition to achieve a balance of new homes and commercial endeavors while keeping the Island history alive and well with continued renovations and preservation of historical structures throughout. It is well on its way to becoming a vibrant, balanced, new neighborhood for Vallejo. With government and private cooperation and efforts of many local residents Mare Island is transforming from a jewel in the ruff to a very special place to live and work. There are many versions of the story of how Mare Island got its name. General Vallejo’s son Platon Vallejo relays in Memoirs of the Vallejos. In the old days, they used to swim the horses across river. One late afternoon while they were doing so, treacherous currents took the horses out into San Pablo Bay. It got dark, and there wasn’t time to go after the horses. They were presumed lost, but 3 days later, General Vallejo saw his old mare running around on the island. When he went to Monterey to report to the commanding officer, he told him this story. The commanding officer, who was responsible for naming all of the areas described in the mapping expedition of General Vallejo, determined that the island would be called "Isla de la Yegua," or Mare Island. The shipyard was established by the Navy in 1854 and was known as Naval Magazine, NSY Mare Island. The shipyard’s primary missions were to maintain, overhaul, and refuel ships, including nuclear-powered ships; provide logistical support for ships and service craft; and provide services and materials for other Navy functions. During its tenure as the Navy's oldest base on the west coast, Mare Island built 512 ships and repaired hundreds more. Those ships, both great and obscure, fought in every conflict since. Mare Island's first ship, the paddle-wheeled gunboat Saginaw, was launched before the Civil War, in 1859, and its last ship, the nuclear submarine U.S.S. Drum, was launched in 1970 when our country was divided over the Vietnam war. These vessels also included the small ferryboat Pinafore, which chugged between Mare Island and Vallejo for 30 years starting in the 1890's, and the battleship U.S.S. California, the only battleship built on the west coast. During World War II the shipyard quickly set a record that was never broken, building the destroyer U.S.S. Ward, in 17 1/2 days. In addition to the Ward, Mare Island built 17 submarines, 4 subtenders, 31 destroyer escorts, 33 small craft, and more than 300 landing craft. In the 1960's the decision was made to build nuclear submarines at Mare Island. The USS Sargo was the first, with 16 more following, ending with the launch of the U.S.S. Drum in 1970. The 4,351 acre facility included shipyard and hospital areas which in the mid 1950s employed 13,000 civilian workers, down from Mare Island's high point in World War II, when the shipyard population reached 46,000. Dry docks, cranes, waste-handling facilities, and offices were located at the shipyard. Activities supporting nuclear power propulsion systems were performed in accordance with the requirements and authority of the Naval Nuclear Propulsion Program, a joint DOE and U.S. Department of Navy program responsible for all activities relating to naval nuclear propulsion. There are 996 buildings with 10.5 million square feet of space, 4 dry docks, 20 ship berths, 2 shipbuilding ways, 3 finger piers, 21 large industrial sites, a school, 2 day care centers, medical clinic, 3 fire stations, a golf course, 2 athletic fields, 3 swimming pools, 9 tennis courts, riding stables, and 416 housing units. 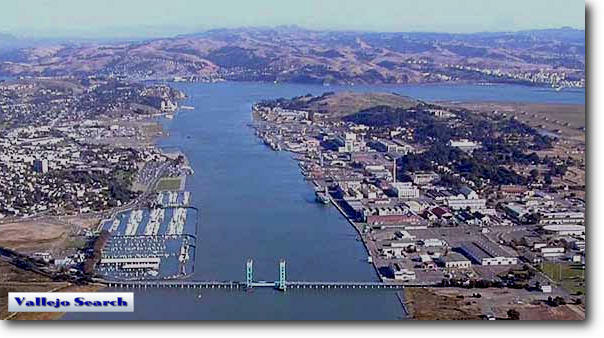 In 1993, the Department of Defense (DoD) Base Realignment and Closure (BRAC) Commission recommended the closure of Mare Island NSY in the "third round" (BRAC 3) of military closures. The operational closure of Mare Island NSY was completed in April 1996. Subscribe to receive notifications directly from the City of Vallejo here.